Hi, we are Lauren Ravina and Onalli Gunasekara. We are juniors at San Domenico School in Marin County California. At our school, the values of service and social justice are central to our Dominican mission. All students take the Social Justice course in their junior year to complete the Religious Studies requirement. As juniors, we have the opportunity to design a service-learning project and volunteer in the community. As dancers for the past 13 years, we believe that the best possible way to give back to our community would be by sharing our love for dance, specifically ballet and hip-hop, and have free dance classes during the summer at Pickleweed Park for children from working-class families, who might not otherwise be able to afford the costs of dance classes. 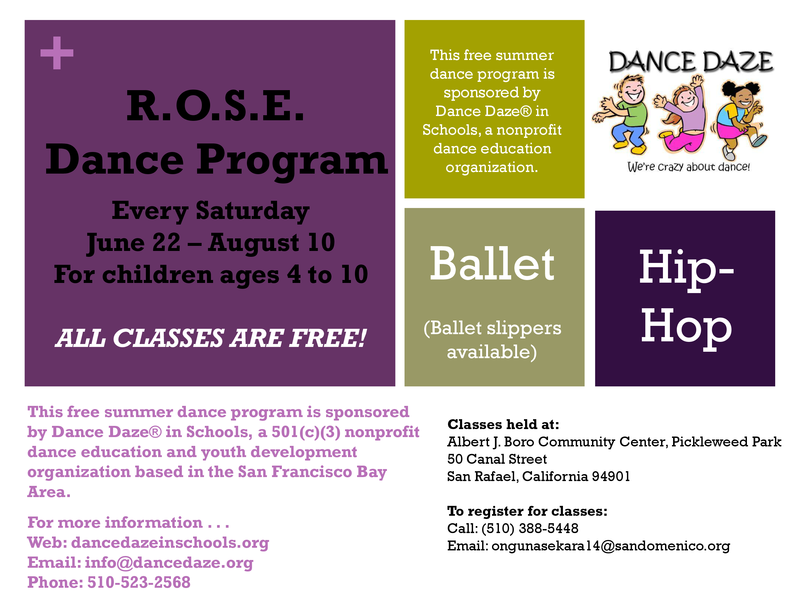 Our summer dance program will be open to all children in the area, and it will be free of charge for all participants. This program will be a wonderful opportunity for us to give back to our community by teaching dance! Dance impacts people’s lives by giving motivation, self-confidence, and the ability to express oneself. We believe that it is vital for all children to have the opportunity to dance. Unfortunately, dance classes can be expensive for many families. We would like to teach ballet and hip hop classes during the summer as our service-learning project because we want to share our passion for dance as well as help children, who without this program might not be able to take dance classes. Our goal this summer is to allow children to experience the thrill of dance while expressing in their own style. In working together, we hope that we can show children that they can express themselves and their own personalities through dance.